Ute Lahaie, Ph.D., was appointed as Dean of Institutional Effectiveness and Assessment at Walsh University, effective July 1, 2016. In her new role, Dr. Lahaie is responsible for leading the assessment, institutional research and effectiveness, as well as the reaccreditation efforts. Dr. Lahaie previously served as the founding Dean of Walsh University’s School of Arts and Sciences where she led the creation of the vision, mission and direction along with many initiatives promoting student engagement and active learning. Dr. Lahaie provided strong support of excellence in teaching and learning, and she has been instrumental in the development of new majors and minors as well as internships for all Arts and Sciences majors. Dr. Lahaie joined Walsh in 2012 as Dean of Undergraduate Studies. She initiated the creation of the biannual Academic Celebration of Excellence Symposium (ACES), and she led a taskforce that was charged with design of two new flexible learning spaces: the Experimental Learning Space and the Active Learning Classroom. Dr. Lahaie also led a wide variety of faculty development programs to equip faculty for teaching in these new technology-rich, active learning spaces using digital-age teaching and learning methods. Ute Lahaie served as President of the International Association for Language Learning Technologies (IALLT) from 2011-2013, and in an advisory role as Immediate Past-President from 2013-15. She was also the editor for the second edition of the IALLT Learning Center Management Manual, and she co-edited the IALLT Learning Center Design publication. She previously served as President of the South Central Association for Language Learning Technology (SOCALLT) and as editor of the conference proceedings for SOCALLT. Dr. Lahaie has given numerous conference presentations, workshops, and webinars on learning space design, faculty development, and language center management. 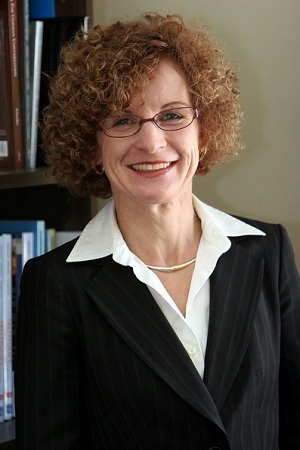 Prior to joining the administration at Walsh University, Dr. Lahaie served as Chair of the Department of World Languages, Literatures, and Cultures, and as Professor of French and German at Gardner-Webb University in North Carolina where she led the five-year departmental review. In a previous appointment, she served as Director of the Language Acquisition Center and Professor of German at Baylor University in Texas where she led the design and implementation of a new learning center and guided new faculty development initiatives. Dr. Ute Lahaie earned both her M.A in French, with minors in French Pedagogy and Russian, and her Ph.D. in Second Language Acquisition from Justus-Liebig University in Giessen, Germany. Lahaie, Ute, and Jacqueline Mumford. "Fostering Faculty Communities of Practice in Technology-Enabled Active Learning Ecosystems." Presentation, FLEAT VI Conference, Joint IALLT and LET Conference, Cambridge, MA, August 15, 2015. Lahaie, Ute, Jacqueline Mumford, John Gurnak, and Jennifer Loudiana. "Catching the 2nd Wave: Agile Faculty Development Model for Higher Education Reluctant Adopters." Presentation, FlipCon15, Annual Conference of the Flipped Learning Network, East Lansing, MI, July 15, 2015. Lahaie, Ute, Bradley Beach, and Jennifer Vokoun. "Implementing Active-Learning in a Technology-Rich Flexible Learning-Environment: Lessons Learned." Presentation, 2015 Conference of the Higher Learning Commission, Chicago, IL, March 31, 2015. Lahaie, Ute, and Jacqueline Mumford. "Fostering Faculty Communities of Practice in Technology-Enabled Active Learning Ecosystems." Lecture, FLEAT VI Conference, Joint IALLT and LET Conference, Cambridge, MA, August 15, 2015.